When an earring is this dramatic, a single one is all you need! 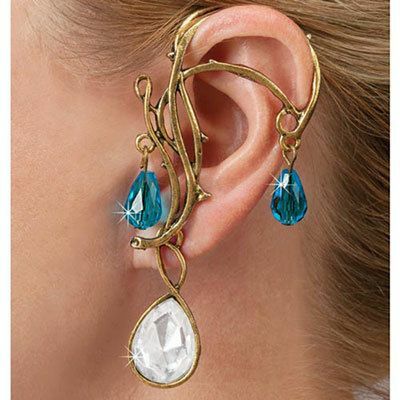 This Crystal Goddess Ear Wrap has a unique, scrolled design in antiqued gold-tone hooks over top and covers the entire ear. Faceted, blue glass drops and removable faceted clear teardrop bring on the bling. 3½"l overall. Sold individually. (Note - this offer is for one earring).